President Barack Obama’s home town is in chaos as the Chicago Teachers Union has declared a strike starting Monday for the first time in 25 years, defying former Obama chief of staff, now Chicago mayor, Rahm Emanuel. Parents are outraged as children struggling through the city’s troubled school system will now miss critical days at the start of the year. Working families are scrambling to make alternative arrangements for child care. 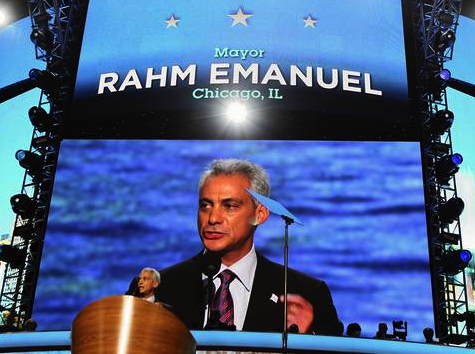 The strike pits Emanuel, a key figure in Obama’s political constellation against a vital left-wing constituency–namely, teachers’ unions. Teacher pay, benefits, and job security were all issues upon which the two sides failed to agree. However, the broader picture is the political struggle between unions and Democrat politicians as a new wave of Republican reformers and conservative reformist policies has emerged to threaten both. Though Chicago is a virtual one-party system, the example next door of Scott Walker’s collective bargaining reforms has potentially strengthened Emanuel’s hand in negotiations–and increased the union’s willingness to take risks to secure its power. The teachers, irritated by Emanuel’s brash style, also no longer feel threatened by Emanuel’s powerful predecessor, Richard Daley, and are flexing new political muscle in the post-Daley era. President Obama relies on the donations and activism of teachers unions on his behalf. They drive his enduring resistance to meaningful school reform. But the Chicago strike adds to the emerging image of a city that has become ungovernable, with a skyrocketing murder rate and faltering economy, despite the presence of a strong advocate in the White House with close ties to the mayor and the city’s professional and business elite. The Chicago Teachers Union strike risks becoming the symbol of future governance under Obama as the nation confronts inevitable budget constraints that will pit special interests against each other, to the public detriment.